Six guidelines to follow to help ensure that the painting contractor you hire is a qualified professional. Licensing – Make sure the contractor you request an estimate from has the proper local and state level licenses, whatever is required by law in your area. These licenses are designed to protect you the consumer against fraud and uninsured contractors. Insurance – Before even requesting an estimate, confirm that the contractor has insurance and can provide you with a current insurance certificate. Be sure to request one prior to the start of any work and check the dates on it to make sure it is current. References – Ask the contractor if he has a list of references; ask for both current and older references. Requesting older references will establish the credibility and longevity of the contractor. Check to see if the contractor is a member of the Better Business Bureau and is in good standing. Schedule the Appointment – See how accommodating the contractor is to make an appointment, an estimate should be free and also convenient for you, remember you are the customer. Appointment Day – The contractor should arrive on time and have a presentation and appearance that you are comfortable with. He should be able to answer all of your questions and be prepared to provide you with the above mentioned documents. Remember this contractor is someone that is going to be working in or on your house so there has to be a level of comfort with this first meeting. 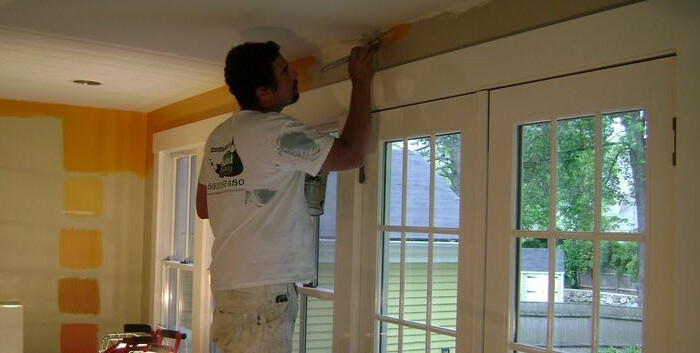 Estimate – The contractor should provide you with a detailed written proposal specifying the following for the work you want completed: the preparation involved, including what type of primers will be used, what type and level of paint will be used, how many coats of paint will be used on surfaces and lastly the proposal should be specific to exactly what areas are going to get painted. Following the 6 steps above, should help you find a qualified and reliable paint contractor that can help you achieve the painting results that you are looking for.